Three exclusive 6" figures! 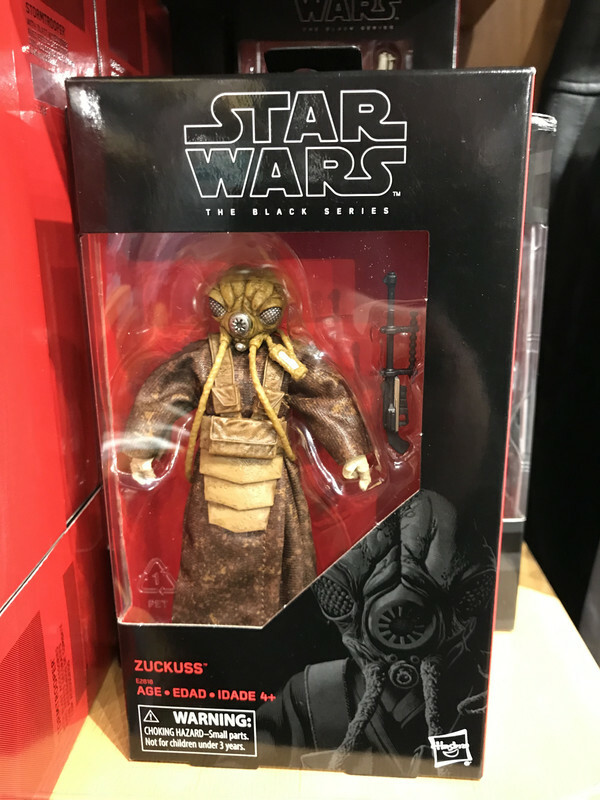 They also have the bounty hunter Zuckuss. Scribble and cooleddie74 like this. Awesome! I'm glad you finally found him, @Tom Hendricks ! 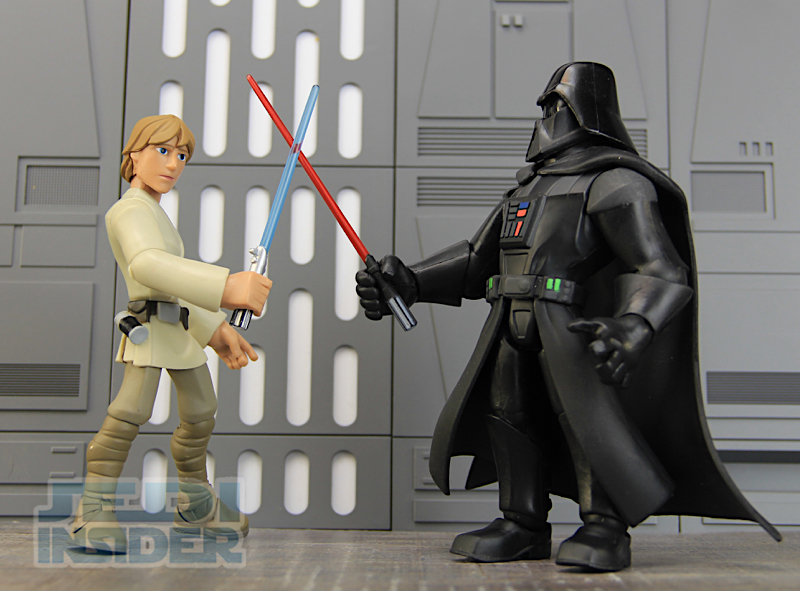 I don't know if these have been posted here yet but Disney is doing a "Toy Box" line of Star Wars figured on their Disney Infinity game aesthetic. Posable too. 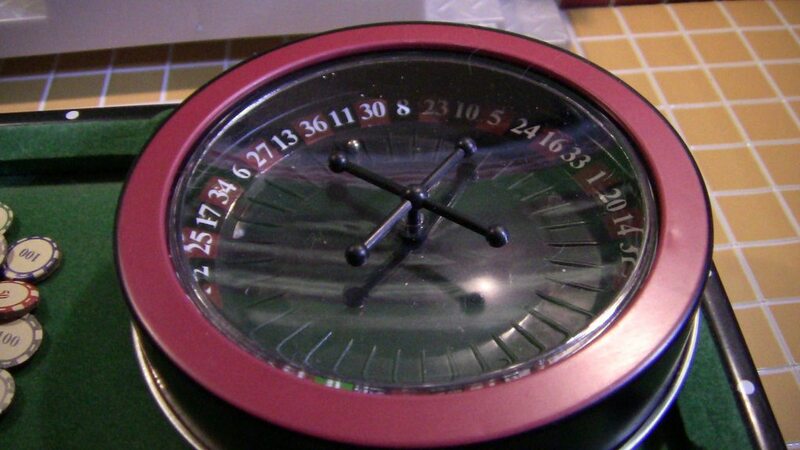 I got this pocket roulette wheel today at Big Lots. 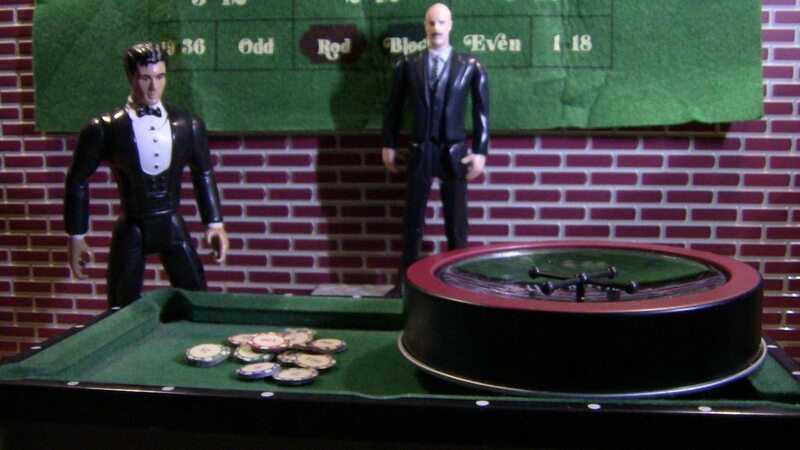 It came with a nice felt mat and a bunch of miniature casino chips. cooleddie74 and Scribble like this. Refuge, cooleddie74, CaptainMurdock and 1 other person like this. Oooh those look really nice. Excellent work. Sorry, I phrased that wrong. 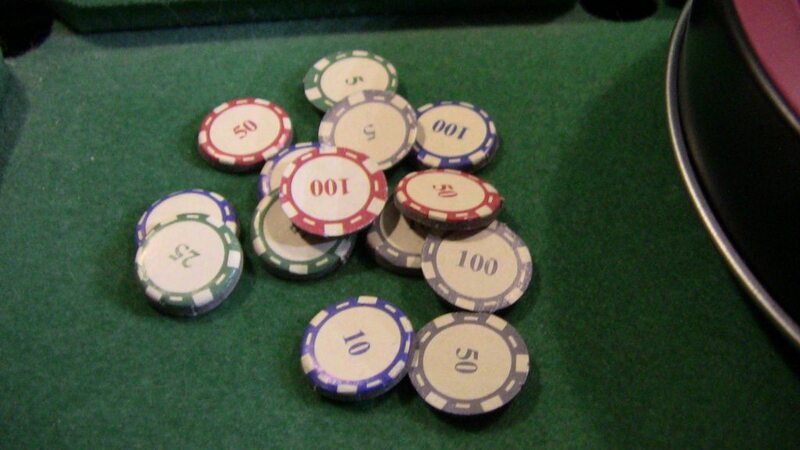 I didn't exactly make those chips, they are toy chips from my childhood, but don't look like proper roulette chips. While other families look forward to their Thanksgiving gathering, Bruce remembers and mourns his parents that no longer can be with him. Scribble, cooleddie74, Kai "the spy" and 1 other person like this. So, the Waynes' caskets are above ground and out in the open? And actually open? No wonder Bruce is so messed up. It's meant to be a memory of the actual funeral day five years ago. Before they went into the ground. Avro Arrow, CorporalCaptain, Refuge and 4 others like this. A few online retailers/sellers are listing the 3.75" Vintage "Island Journey" Rey for pre-order, but they don't seem to have a solid shipping date yet. She was SUPPOSED to be a brick-and-mortar Walmart exclusive you could find by walking into just about any store that has a boys' action figure aisle. How Hasbro and Walmart screwed this up I'll never understand. Check this out. I have no idea when these might be available, but I'd totally buy them if they work as well as the prototypes suggest. I can think of all sorts of potential applications, from kids to sci-fi fans and to gamers. It would certainly provide some nice options for figures as well, if you want a cool vehicle or perhaps just a cool accessory that can be customized. A new look at Diamond Select's "Into Darkness" Kirk and Spock figures in packaging. These look great! I finally found a 6" Black Series Tobias Beckett from Solo at brick-and-mortar retail. The Walmart where I was shopping stocked at least one case assortment of the Bespin Han Solo Wave which includes the new Han, Tobias and the Rebel Trooper from Rogue One and ANH. They didn't have any Rebel Troopers left, though. Just one Tobias and, I believe, one Bespin Han on the 6-inch pegs, but it was enough for me to make a score I'd been wanting for a while now! No photo to show yet, but last night I received a "Bif Bang Pow!" Mego styled Tom Baker Doctor Who action figure. It really captures the look of the vintage 8 inch articulated, fabric dressed dolls of the early 1970s.. Even the packaging matches that decade. the backing card and plastic "blister" came sealed in a clear Mylar envelope. I assumed eller added that for extra protection. Someone can correct me if I'm wrong, but I now think that's what "Bif Bang Pow!" itself does. Why? 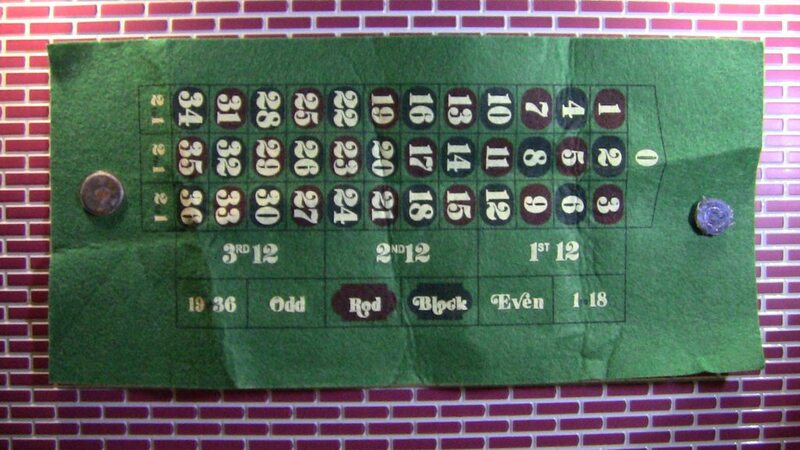 Well, the "blister" was not glued to the backing card as is the usual practice for mass market toys. It's like the "Bif Bang Pow!" knew collectors would be in turmoil about wanting to remove the doll and damaging the package. Solution, simply don't glue it! I was not that concerned about preserving the card, but I like that the company considered that dilemma. 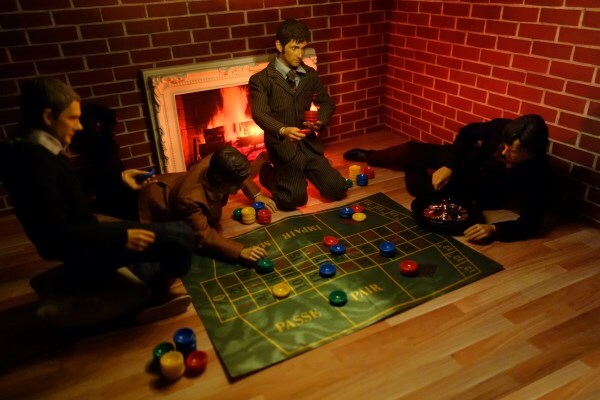 Oh, remember when fans thought they could stage their 5.5 inch DW figures with the lava lamp TARDIS console, only to realize the lighting fixture was far too big? 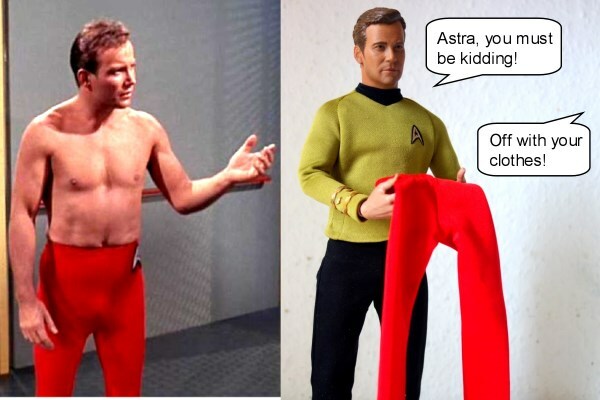 Well, the Mego inspired doll range is just about the right size. Before dashing for work this morning, I stood the 4th Doctor doll next to the lava lamp and they look pretty good! Okay, I did not consider this on my own. 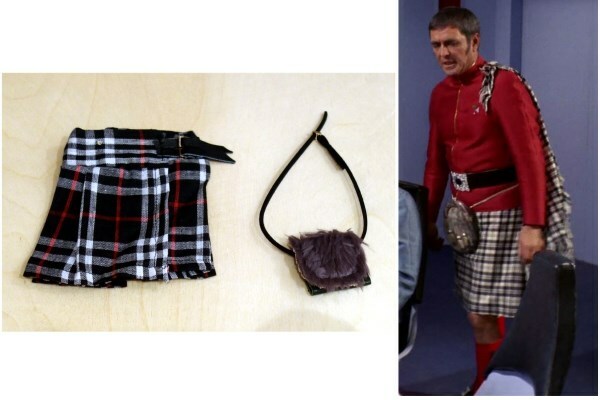 I saw a photo online someone had snapped pairing the two pieces of memorabilia and they appeared well matched. Sketcher, cooleddie74, Astra and 3 others like this. Three posts above, I described the "Bif Bang Pow!" Tom Baker Doctor Who action doll I ordered. Since that post I have purchased and received two more "indulgences". First was the 2009 Hallmark "Robby the Robot" with lights and sound. When one presses a button upon his torso, two elements upon his chest glow amber and one hears the "clatter" of cam mechanisms. Then he will recite one of several (I think 8) phrases from the movie as the "light organ" upon his dome strobes. Given the figurine stands 4.25 inches (not counting the hook loop), the audio circuit is impressively loud and very clear. The audio is not "lifted" from the film itself, but brand new lines performed by a rather convincing "sound-alike". (Though when he says, "I've been monitored to respond to the name 'Robby'," he says his name almost as though slightly disappointed.) I didn't even know that Hallmark released such an accurate recreation until early this very year. the ornament runs on 3 button cell batteries, no need to plug into a light string. The other item was the set Therin of Andor photographed and posted earlier in this thread, the Arex and M'Ress ornament pair. Originally Hallmark stated it would only be available at three different genre conventions, not even its dedicated online store, let alone any "brick and mortar" locations. 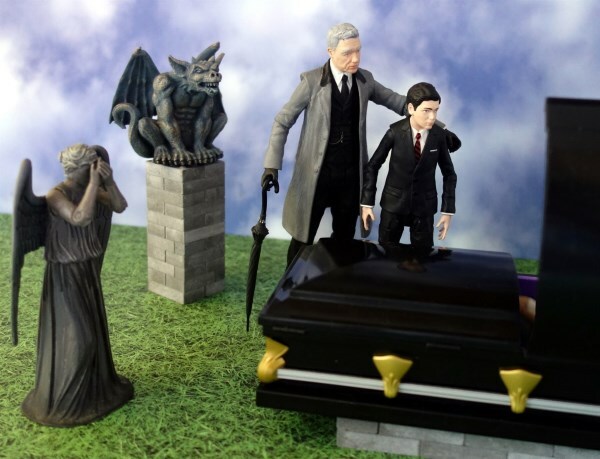 Hallmark did partially change that decision, offering it online through its specialty store where one must pay an annual subscription of 40 dollars in addition to the 40 dollars for the set itself. 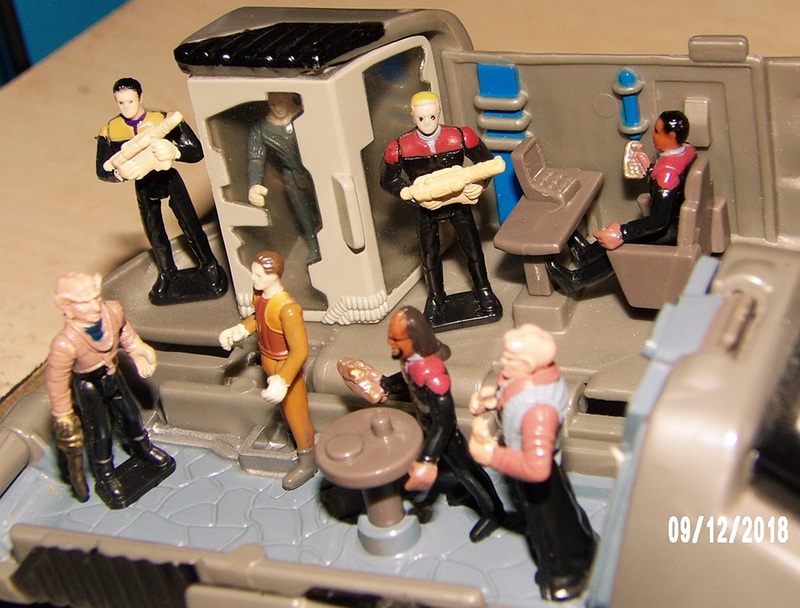 I opted to go through eBay. I actually came out slightly cheaper. Like Robby, M'Ress and Arex stand 4.25 inches tall (that must be some "standard" size for Hallmark). 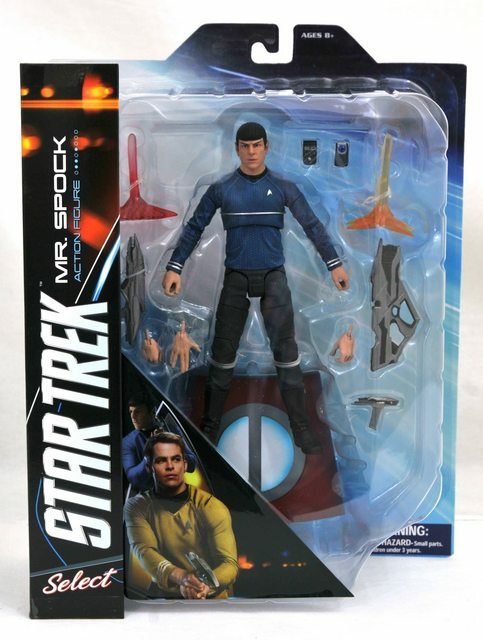 Because they are near "Star Wars" figurine scale, I assumed the material comprising their bodies might be ever so slightly pliable. Instead, it is very rigid, making me think it could be potentially brittle. Thus, I've handled them as though they were egg shells. the artists went so far as to etch some "striations" upon the Caitian's legs, tail and face to suggest fur. On the other hand, her uniform does not have that asymmetrical seam running down the left side, but neither was that detail included in the Filmation art. I was surprised how aligned was the paint job for her eyes. It would have been so easy to accidentally make her "walleyed", ironically like she appeared in some of the broadcast footage. Oh, and Arex is pretty decent as well. No, seriously, he's quite accurate to his art, even having that odd dip of fabric where his third, central arm emerges. 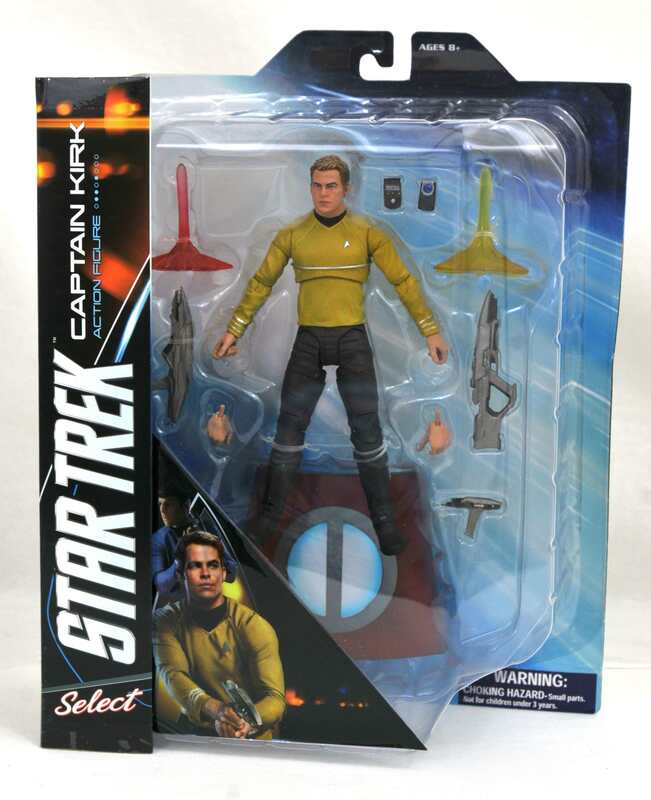 the phaser he wields retains those odd boxy proportions depicted in the cartoon. And he has all three set of camel toes. No! Not that! I mean the artist sculpted the camel-type toes only revealed in the original reference art. Okay, that's enough personal goodies for awhile. I paid a bit more than I desired given two of the items came from eBay.